Fully-furnished cozy one-bedroom apartments occupy the upper story of a restored 1893 OSU Classroom building. Huge windows, 12-foot ceilings, wool rugs and natural wood floors highlight the entry, bedroom, living room and kitchen areas. 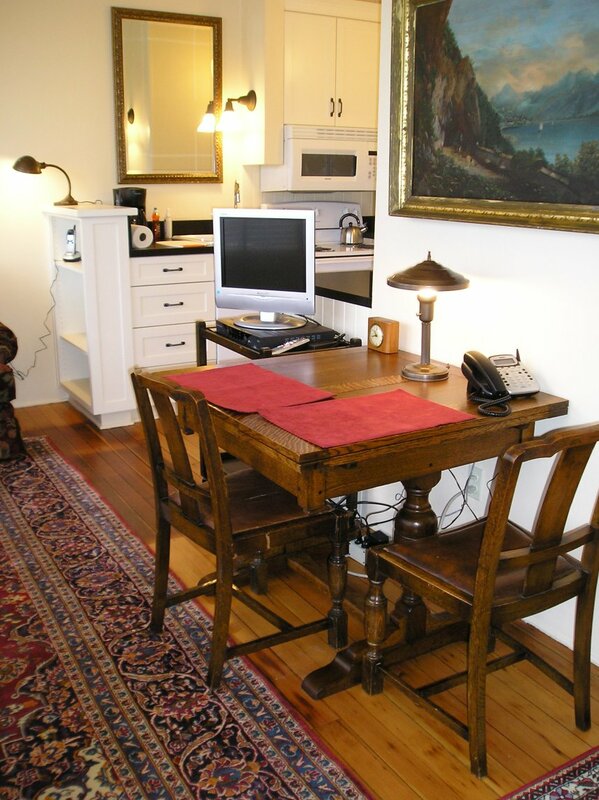 Complete amenities include new bathrooms, dishwasher, private laundry, flat-screen TV with cable; wireless internet; private phone and individual central heat and AC. 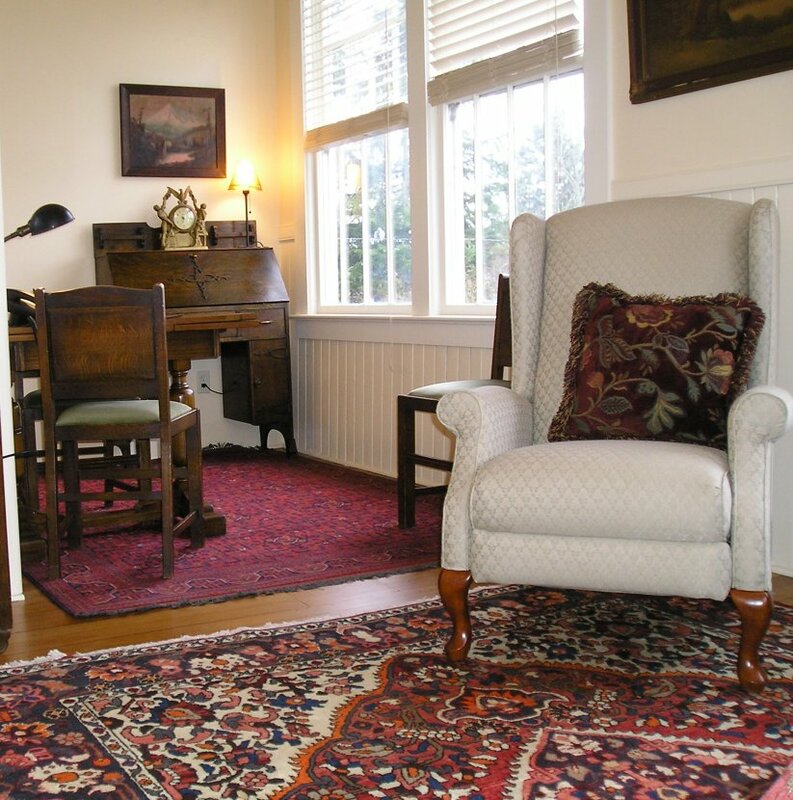 The adjacent restored 1907 OSU Incubator House is now a 600-square foot private studio cottage, complete with TV/cable, wi-fi, laundry, phone, infloor radiant heat, new kitchen and bathroom, fully wheelchair-accessible. 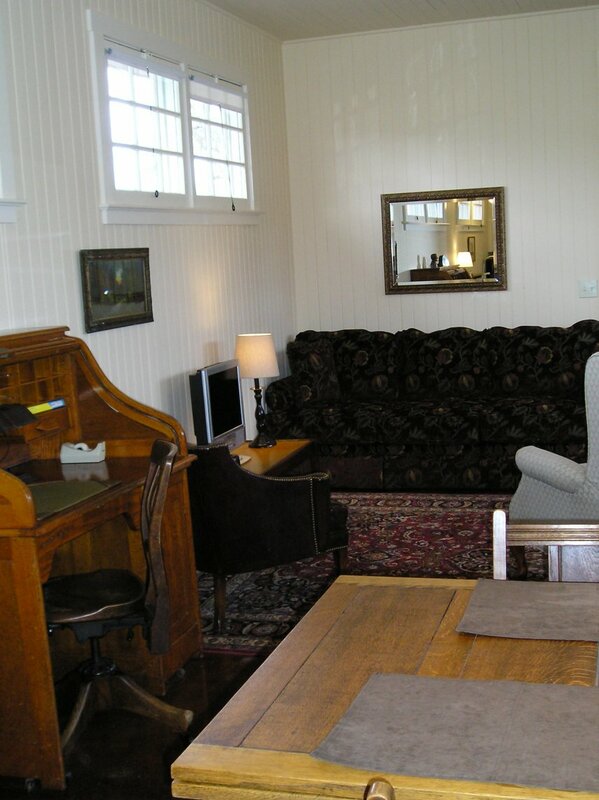 View interior photos of each apartment and studio.